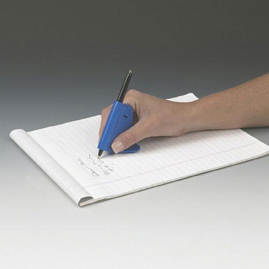 An assistive aid that allows a person to rest their hand while writing. This makes writing more easy and legible. Great for people with decreased fine motor abilities or grip strength such as those affected by arthritis.